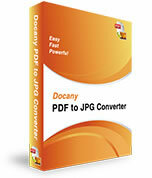 "Simple, easy to use application, is well laid out and works quite efficiently and quickly. This is a 5 star candidate." 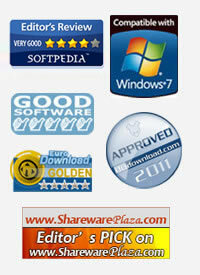 "It is a very impressive piece of software." 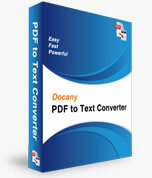 Docany PDF to Text Converter is an efficient and convenient program to convert PDF to plain text in batch mode. 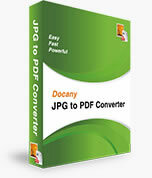 Batch convert a large number of image formats such as JPG, GIF, PNG, BMP, TIFF and so on, into PDF file. 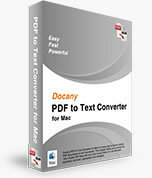 Extract text from Adobe PDF files with just a few mouse clicks, so it can be easily searched, archived, repurposed, and managed. Copyright © 2016 PearlMountain Technology. All Rights Reserved.